A very calm day at sea today and we were treated to some excellent sightings of 3 of the Marine Big 5. 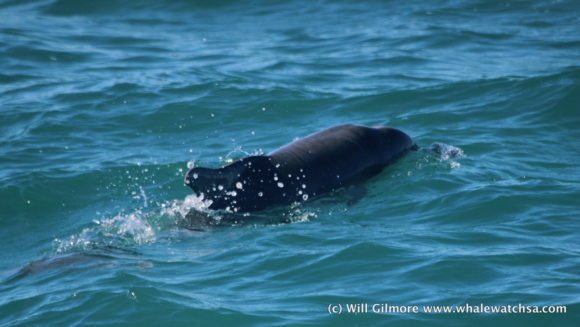 Our first sighting came in the shallows, where we spotted out Indian Ocean Humpback Dolphins. We have had a lot of luck with these dolphins in recent weeks and it is always very special to see them. Unfortunately, these animals are in decline and only number around 500 individuals in South Africa alone. However, the Dyer Island Conservation trust is working very hard to assure the survival of this species by taking part in population studies. 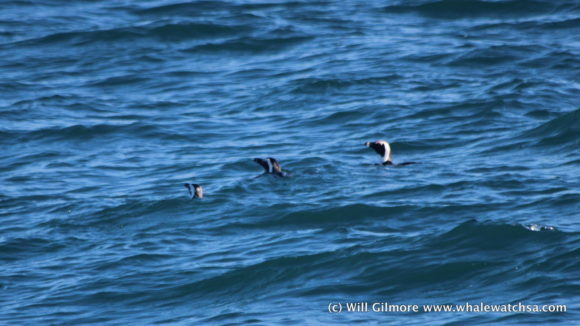 We soon left the dolphins behind and headed towards pearly beach were we found a small number of African Penguins. The African Penguin is the only penguin endemic to the African continent and like the humpback dolphins, is also facing extinction. 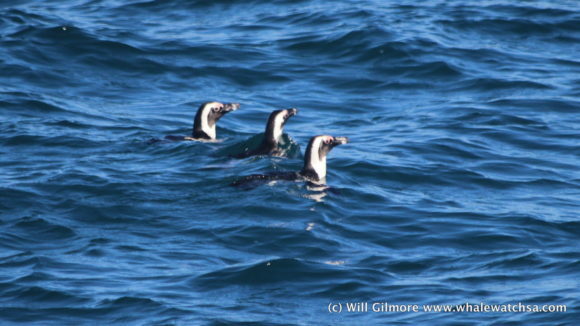 Fortunately, the penguins allowed us to come quite close as when in small groups then can be quite skittish. 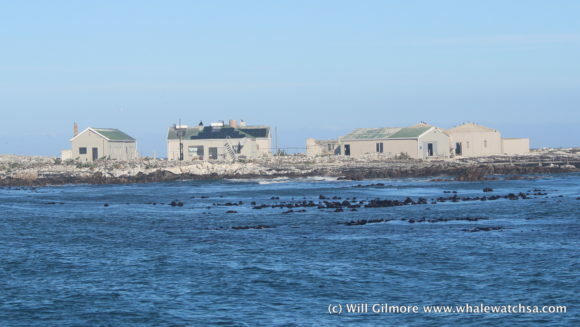 After the penguins moved on, we continued the tour towards dyer island to say hello to our colony of cape fur seals. 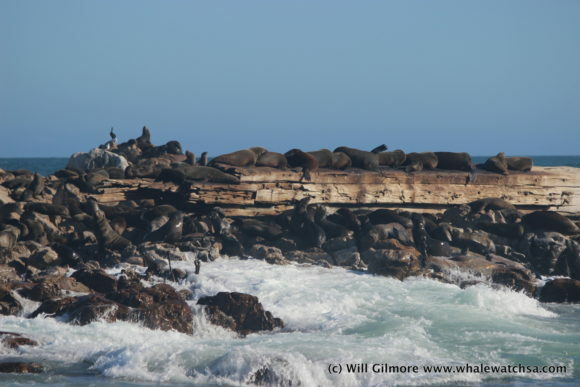 The cape fur seals on Geyser Rock number at around 60,000 individuals making it the fourth largest colony in southern Africa. The seals are always a sight to behold both in and out of the water. As we headed around Dyer Island towards the harbour, we spotted a number of different birds that breed on the island, including a few species of terns, cormorants and gulls.